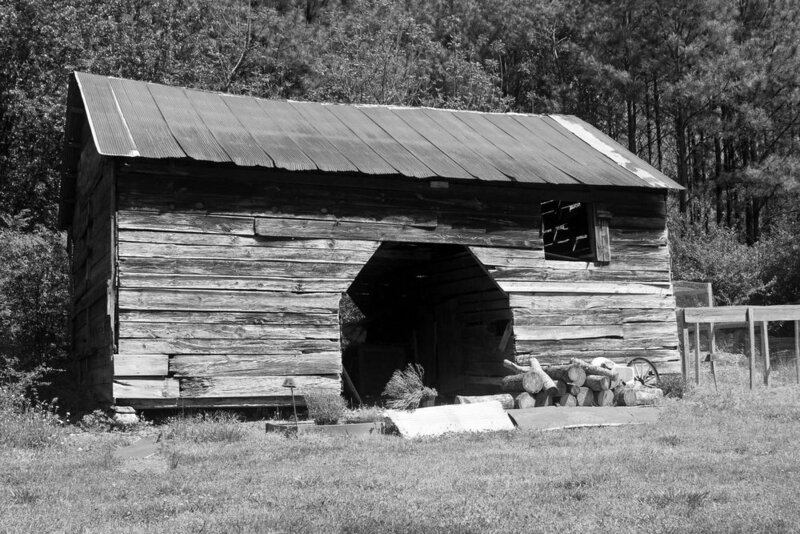 In April 2016, after coming across several local newspaper articles highlighting the Flat Rock Archives in Stonecrest, Georgia, photographer Marla Puziss, along with her husband and several friends, decided to visit the archives. Marla offered to share her photos and thoughts about the Flat Rock Archives with us. She hopes to inspire others to visit the archives and learn about the African-American history of DeKalb County – and to spread that knowledge. Marla, we want to thank you for sharing your Flat Rock tour experience with us both through dialogue and especially your photography. How did you begin the tour and meet with Flat Rock Archives Director, Johnny Waits?? I had read about the archives in the local newspapers and was curious to see for myself and to take photographs. I contacted the archives through their website to submit a tour request and spoke with Johnny Waits to arrange a personal guided visit. We parked on the grass next to the Archives Museum where Johnny met us and ushered us inside. The archives are housed in the former home of Rev. T.A. Bryant, Sr., built by him in 1917. Johnny shared the history of Flat Rock from the time of its founding by freed slaves who worked the local cotton plantations. We watched a fifteen-minute video segment of African-American Lives by Henry Louis Gates, Jr., which featured actor and comedian Chris Tucker. Tucker’s great-great-grandfather was an early trustee of the Flat Rock Community Church. We learned from Johnny what it was like to grow up in Flat Rock during the era of Jim Crow segregation, before the Civil Rights Movement. He told us about the decline of the town as many of its youth moved away—both during the Great Migration to escape racial segregation and later, as the gains of the Civil Rights Movement opened up opportunities for them in the larger society. As the children and grand-children of community elders move away, the archives’ work of keeping the story of Flat Rock alive and present becomes even more important! What was memorable to you about the Flat Rock Archives Museum? 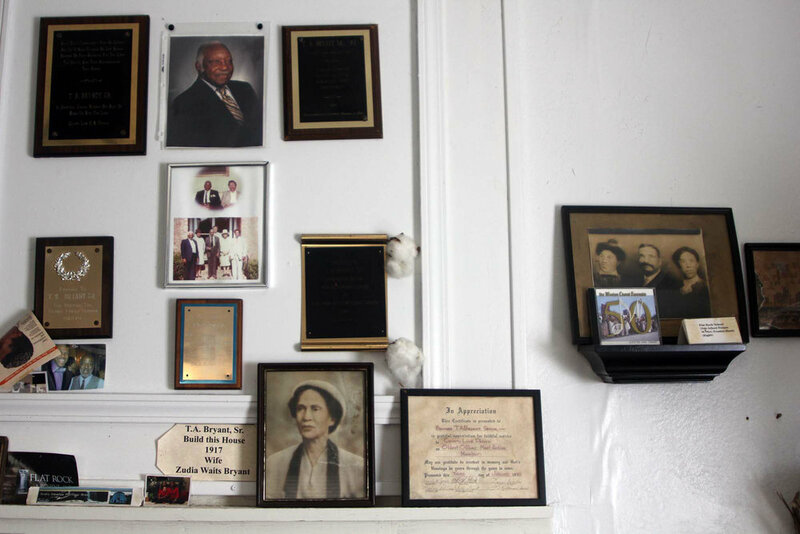 The living room walls were full of historic photos—of the Reverend T.A. Bryant, Jr., his family, Flat Rock Community Church members, and school children. We saw one of the first high school diplomas earned by an African-American student in DeKalb County. Most memorable of all was a sign from the Jim Crow era that read “Colored Waiting Room.” A back bedroom still had the same furniture and decor from when the Bryant family lived in the house. Next, we toured the outside grounds, which included an old barn, greenhouse, and the remains of an old outhouse, partially fallen in. 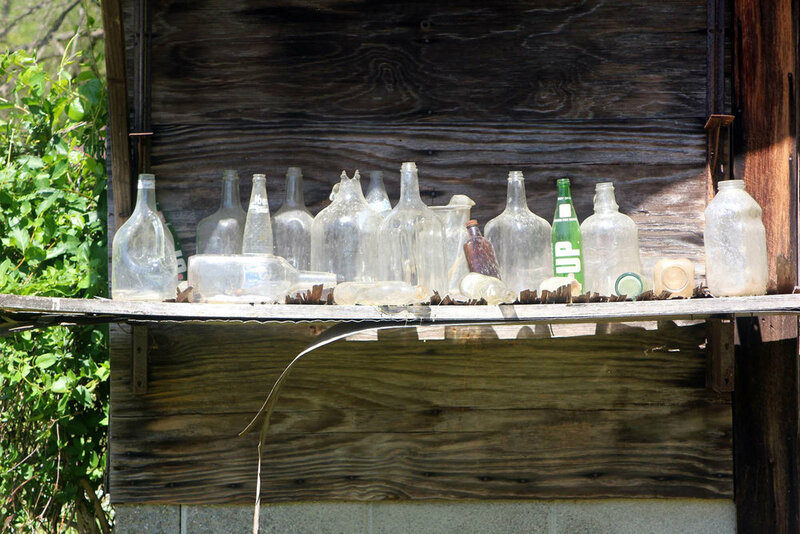 I especially loved photographing the barn and the old bottle collection sitting atop a sagging wooden shelf. I am always drawn to photograph objects that people used and touched in the past, sometimes now in a state of decay, and to see them anew with an artist’s eye. 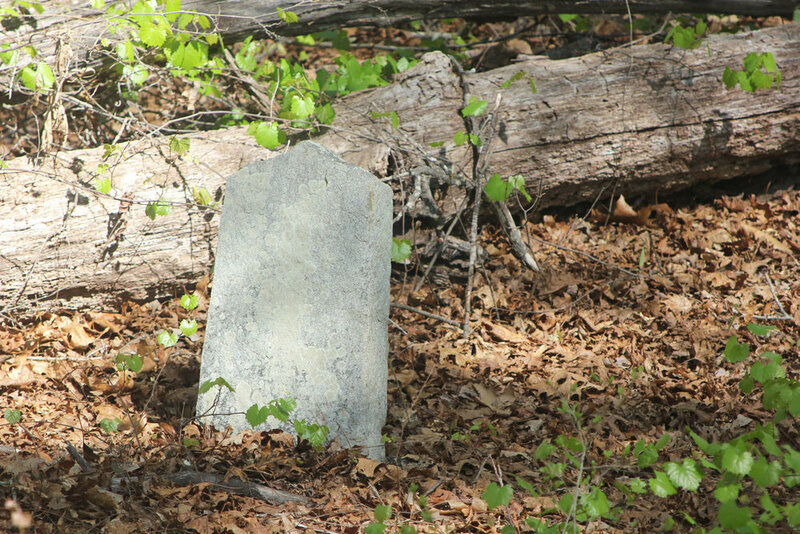 Did you visit the Flat Rock Historic Cemetery? Yes, we drove a short distance from the Flat Rock Archives Museum to an overgrown, weedy path. We left our cars at the trailhead and followed Johnny along the path until we reached a hidden wooded area. Seeing the old graves of slaves and freedmen and the ancestors of today’s Flat Rock citizens scattered among the fallen leaves and vines was a solemn and moving experience. 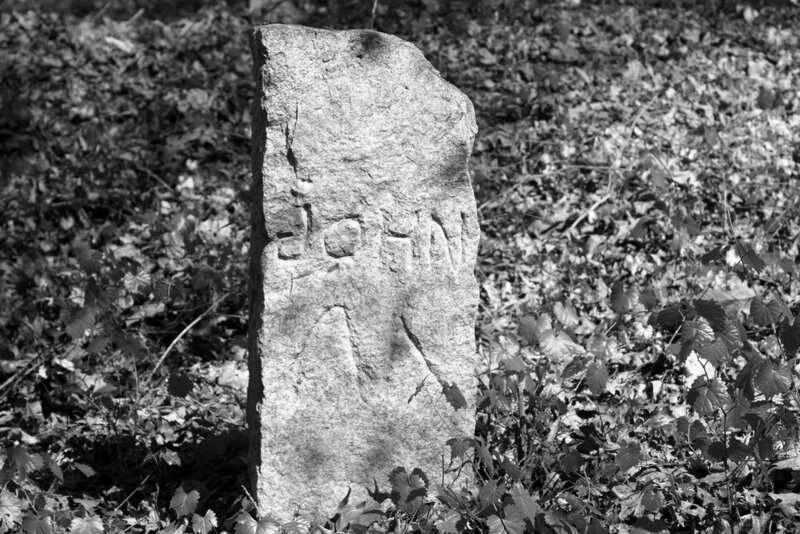 What seemed to be the oldest gravestone I came across, possibly a slave’s or freedman's grave, bore only the first name John and an initial scratched roughly into the stone. The writing on another gravestone had been completely erased by the passage of time. 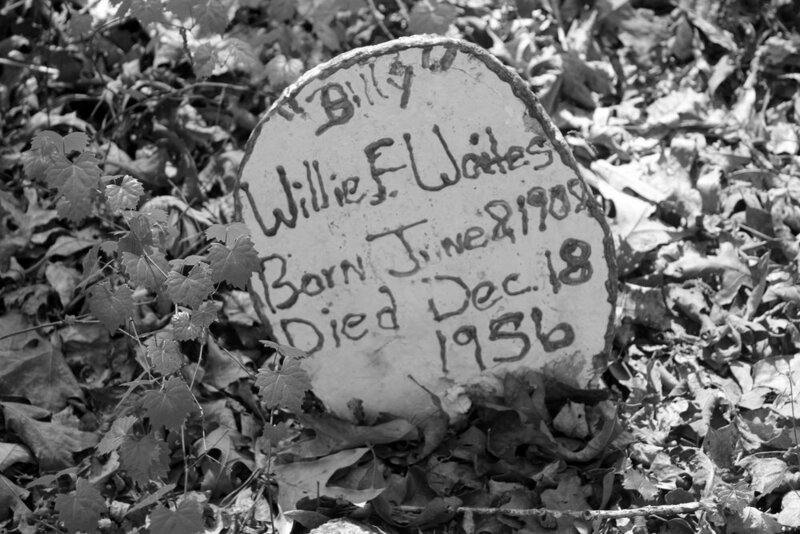 I also took pictures of some of the graves of more recent generations of the Waites family, Johnny’s ancestors, as he told us their stories. The graves of the different generations attest to the resilience and persistence of the people of the Flat Rock community. But these graves lost in the woods also attest to the neglect and historical amnesia of the larger society. I hope the work of the Flat Rock Archives to preserve this cemetery will help us all to remember the history buried in this sacred place. This was the last stop of our tour. 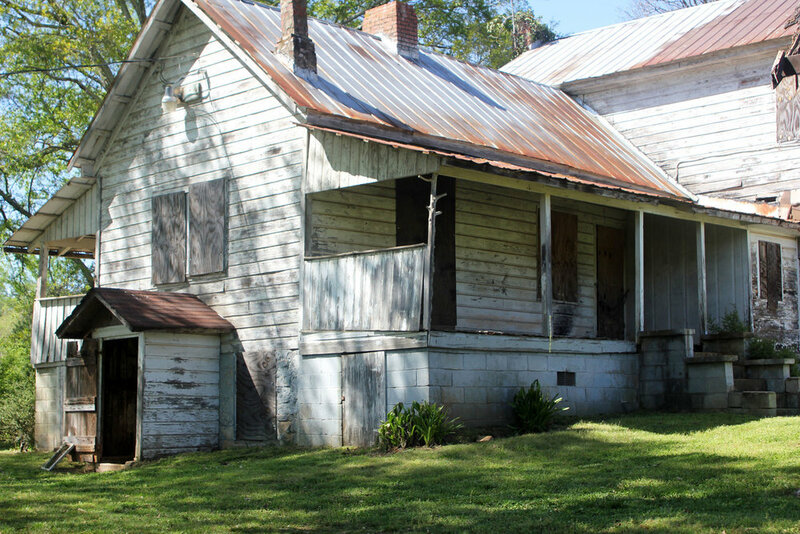 As we walked around the grounds of the Lyon's House and Farm, Johnny explained this was the one of the oldest farmsteads—perhaps the oldest—in DeKalb County. Before the Civil War, slaves toiled in the cotton fields of the Lyons farm and other nearby farms. These freed slaves became the founders of Flat Rock. The farmhouse is lovely, even in its current state of decay: whitewashed walls, red-painted tin roof, the green lawn and trees. My understanding is that the Arabia Mountain Heritage Area currently owns the property and there are plans to restore it in the future. 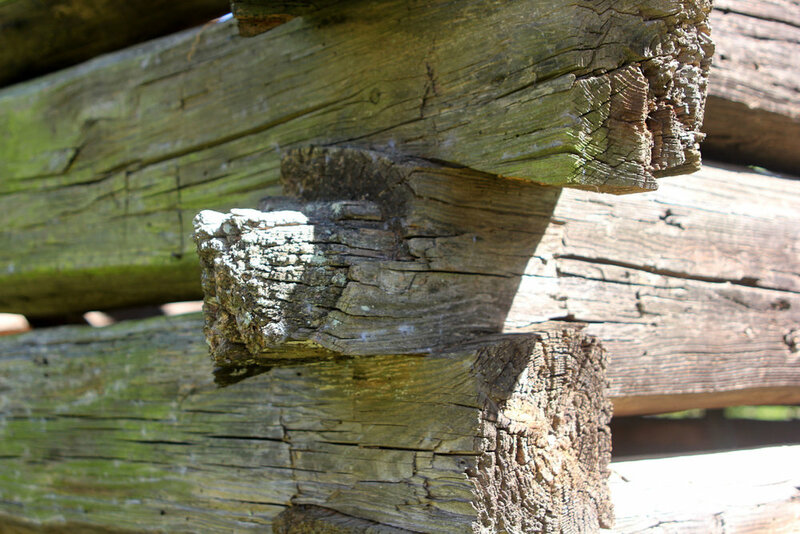 I hope that someday archaeologists will unearth the remnants of the slave cabins that stood on the property… and the Lyons Farm will become a museum devoted to the history of rural DeKalb County and the slaves who helped to build it. Would you recommend this tour to other people? Definitely! Anyone interested in learning local history should schedule a visit to the Flat Rock Archives Museum. It will enrich your knowledge and understanding of African-American history and of our common history. Be sure to make it part of your visit to the Arabia Mountain National Heritage Area! A brief biography and artist’s statement: I am a self-taught photographer, beginning with my father’s hand-me-down camera and learning from looking at great photography, starting with my parents’ worn copy of The Family of Man…. My photography is tied to my love of travel and observing the places and people who live there. I am drawn to the power of photography to open the viewer’s eyes to the essence of the world around us. My photos have appeared in South x Southeast, Lenscratch, LensWork online, the Second LaGrange Southeast Regional, 2018 Decatur Fine Arts Exhibition and other juried photography exhibits and galleries in this area. I moved to Atlanta in 1989 and work in the Clinical Laboratory at Grady Memorial Hospital. I live in Hapeville with my husband and cat. 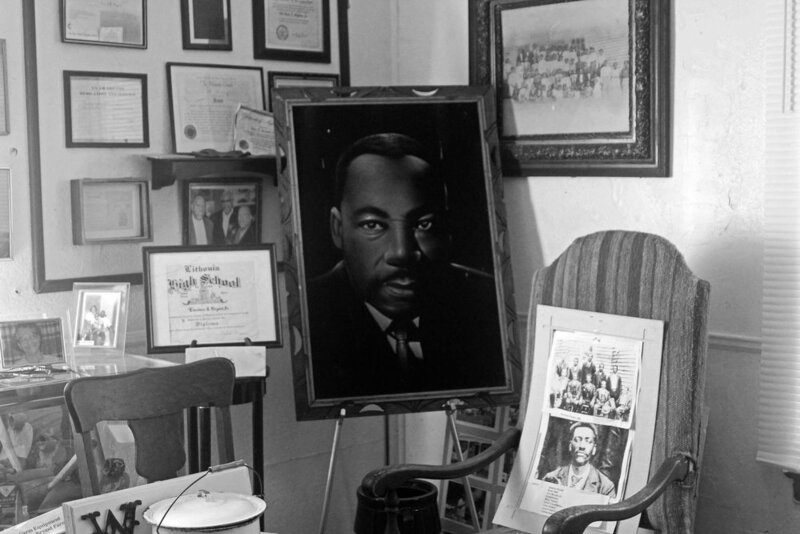 Taking these photographs and sharing them with the Flat Rock Archives has allowed me to use my work to be part of something larger than myself, to help tell the story of African-American history in DeKalb County. I am grateful to the Flat Rock Archives, and I hope these photos will inspire others to visit the archives and see and learn for themselves, and to act on that knowledge. I can be reached at mpuziss@comcast.net and you can view more of my work online at https://www.flickr.com/photos/mpuziss/.